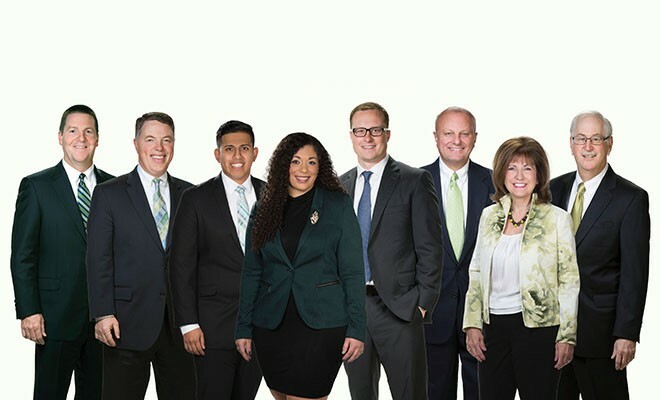 In preparation for working with a client, I will often ask the question, “What has prevented you from achieving what you would like to achieve or from living the life you want?” Although the response will differ, there is one that is most common. That answer is “Me. I prevent myself.” There is an old expression that states “you are your worst enemy,” and this is the truth for many of us. At one point in time or another, each one of us has had self-defeating or sabotaging thoughts. It is a reality that it is part of our wiring as human beings and unless we have worked consciously to change these thoughts, they most likely are holding us back! So what do we need to do to change these thoughts, rewire our process and stop the sabotage? In this article we are going to look at one of the patterns of sabotage and the steps to change it, but first, it is worth exploring where these patterns begin. These patterns tend to manifest as thoughts first and actions second. In other words, they begin in our head. Much research has been done by psychologists on this pattern and it is often referred to as self-talk, inner voice or inner critic. For the purpose of this piece, we’ll just call these self-defeating, limiting and sabotaging thoughts, our Inner Dialogue. Let’s talk about one of the ways we sabotage and how to stop! Here is a tip you can use to whip your Inner Dialogue into shape and prevent self-sabotage . . .
Our Inner Dialogue can be very extreme and harsh at times and we may struggle when we make mistakes. Sometimes it is the barrage of reminders of that mistake, other times our Inner Dialogue is using criticism to motivate us for a change. In some other chances, beating ourselves up is actually a form of protection to keep us feeling like we are enough, loved and accepted. Regardless of the motives of our critical Inner Dialogue, it doesn’t help us when we want to achieve fulfillment and happiness. Even with good intentions, it tends to backfire and keep us in a cycle where we get stuck. We know from our relationships with other people, that nobody likes to be “beat up,” so let’s stop doing it to ourselves! This starts with being kinder, gentler and more accepting of yourself. Train your Inner Dialogue to speak to you the way that you would speak to others. Having compassion for yourself is not selfish, in fact it is just the opposite. If you are not practicing compassion for yourself, how can you be authentic in your practice for others? Be mindful of that Inner Dialogue and through compassion, honor and respect yourself so that you are able to move forward. Inner Dialogue Mantra: I treat myself with kindness and compassion. I am always enough regardless of my mistakes. We will all fall prey to self-sabotage at some point in our life. Commit to breaking these patterns, becoming your #1 fan and repeating your Inner Dialogue Mantra on a daily basis. The more you practice this, the more integrated it will become in your life and to your identity. It starts with you and you can do it! 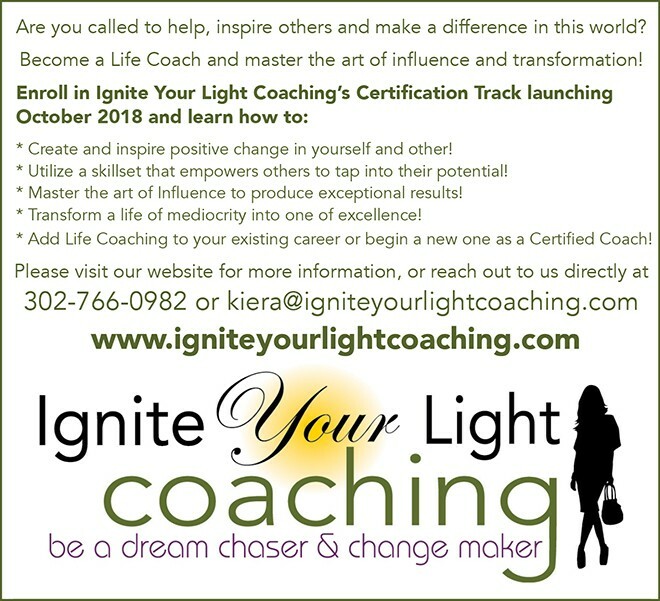 Kiera offers you the chance to help, inspire others and make a difference in the world with Ignite Your Light Coaching Certification. For more information, call 302-766-0982 or email kiera@igniteyourlightcoaching.com. As a master coach for over a decade, Kiera brings to her clients a wealth of skills and experiences. Kiera has also managed businesses for over 20 years, as well as creating & managing her own brand. Kiera’s own life journey and commitment to continual growth is the spark behind Ignite Your Light Coaching.